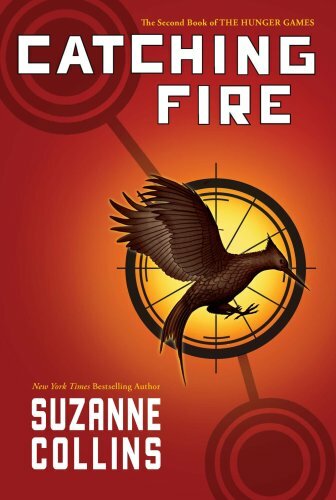 Catching Fire, Suzanne Collins From Goodreads: Against all odds, Katniss Everdeen has won the annual Hunger Games with fellow district tribute Peeta Mellark. But it was a victory won by defiance of the Capitol and their harsh rules. Katniss and Peeta should be happy. After all, they have just won for themselves and their families a life of safety and plenty. But there are rumors of rebellion among the subjects, and Katniss and Peeta, to their horror, are the faces of that rebellion. The Capitol is angry. The Capitol wants revenge. My Thoughts: I loved The Hunger Games and I hope we go back to Kat's family and her man waiting for her at home. The dynamic with Peeta now in the picture should prove a nice romantic problem. However, this story is all about the Capitol and that should prove thrilling as well. The series is good. Everyone is waiting for it. I hope I'll get to read it soon. All right, Laura, I need to make a pact with you that whoever gets this first shares with the other - can I bribe you with chocolate? money? David Boreanaz? I still have to read Hunger Games but I think I am going to wait til when this one is coming out and read them back to back. i am pretty excited about it. this is a great WOW! must read series!!! cannot wait! I am sooooooo waiting on this one, too!! I loved The Hunger Games. I really ought to read the first one...It just doesn't look like my thing!